Beats Music and iTunes Radio to be a streaming dream team? 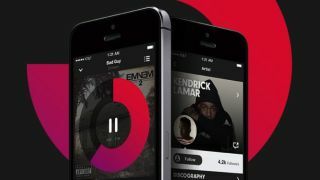 Both Beats Music and iTunes Radio have reportedly struggled to attract the anticipated listenership since arriving on the stream scene and now it appears their fortunes will rest on the shoulders of one man. According to the Wall Street Journal, Ian Rogers, the head of Beats Music will also take the reins at iTunes Radio following the completion of the $3 billion Apple-Beats takeover on Friday. Rogers, who will join Apple alongside co-founders Dr Dre. and Jimmy Iovine, will "run both teams to create cohesion in Apple's streaming-music options," according to WSJ sources. It remains unclear whether the services will be united under one banner in order create a free, ad-funced random radio and a paid for pick-your-own streaming service combo to rival the likes of Spotify. The acquisition isn't all good news for Beats, with some 200 jobs going as a result of the take over. Apple has said it'll try to find new roles for those affected.